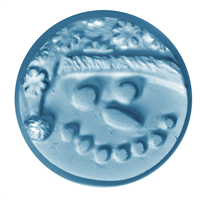 Capture the spirit of winter and snow days with this plastic soap mold. The Snowflake 1 Soap Mold has one snowflake design, which is perfect for creating soaps and lotion bars for winter. Who doesn’t love a white Christmas? 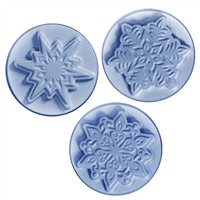 The Snowflake 2 Soap Mold would be perfect for white or blue soaps during the holidays. 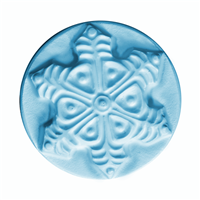 Bar Depth: 1.125" Bar Length: 3.38"
Capture the magic of winter in the beautifully detailed Three Snowflakes Soap Mold. Try adding a dash of peppermint oil for that perfect Christmas season ambience. 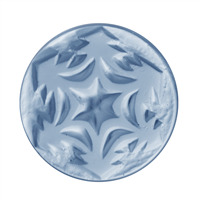 The Snowflake Guest Silicone Mold has 8 thin cavities with 3 different shaped snowflake patterns in each. Great for gift bags or guest soaps during winter time! Bar Length: 2" Bar Width: 2"
They say no two snowflakes are ever alike and we’ve got five different wintery designs to prove it. 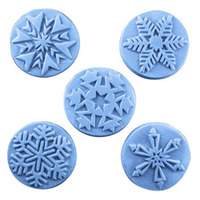 The Guest Snowflakes Soap Mold is perfect for Christmas and holidays. 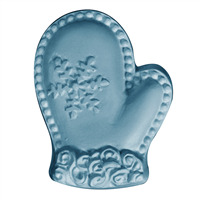 The Snowflake Mitten Soap Mold is perfect to wash and warm up your hands on cold winter days! The adorable mitten is adorned with a snowflake in the center, and snow-like detail around the edges of the bar. 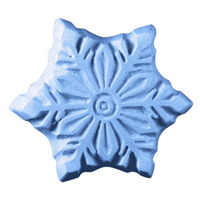 Our Snowflake Soap Mold features a very detailed snowflake on a round bar mold. This mold creates beautiful winter soaps and lotion bars! This Snowflake Soap Mold looks lovely with our sparkling soap bases or mica powders! Who would win in a fight between a snowman and a gingerbread man? The snowman has the size advantage of course, but the gingerbread man kind of has that ninja throwing star shape going on. 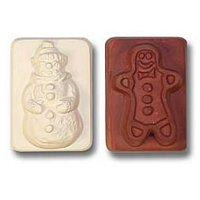 The Guest Snowman & Gingerbread Soap Mold is perfect for Christmas, holidays, and hypothetical arguments with your younger brother. This Snowman Face Guest Soap is the CUTEST guest soap for the winter season! Each bar is round, like a snowman's head, and has the perfect snowman face: coal eyes and a coal mouth, a carrot nose and a winter hat. Customers and guests will adore these snowman soaps! 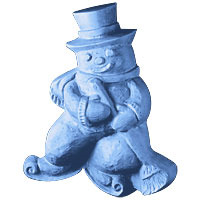 The Snowman on Skates Soap Mold is a classic snowman with a top hat and button nose on ice skates! Perfect to make soaps for winter gift baskets or for your winter product line. Bar Depth: 1.5" Bar Length: 4.5"